Welcome to QuickRadar, where we at TechRadar take the opportunity to let our hair down and discuss hot topics in the world of tech. This week our phones and tablets team are asking, are we being cheated by phone manufacturers? We're seeing more and more handsets launching with varying features in different parts of the world, and for some of us at least that really grinds our gears. 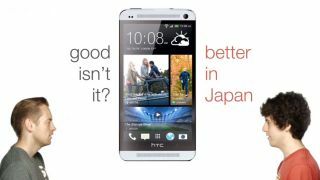 Why does the HTC One get microSD support in Japan? Why isn't the Sony Xperia Z water-resistant in the States? Why don't we all get treated to the octa-core Samsung Galaxy S4? Should we be annoyed at phone companies, or does it simply not matter? Let us know your thoughts in the comment box below.